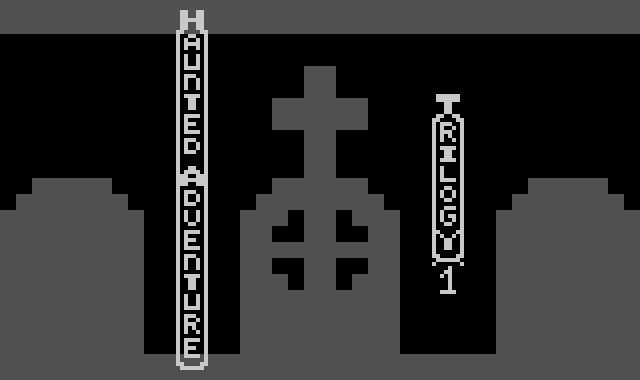 The first two games are modifications of Nukey Shay's 8KAdvent (itself a hack of Adventure) and Haunted Adventure III is a hack of John Dunn's Superman. These are sophisticated hacks that will keep you busy for some time! 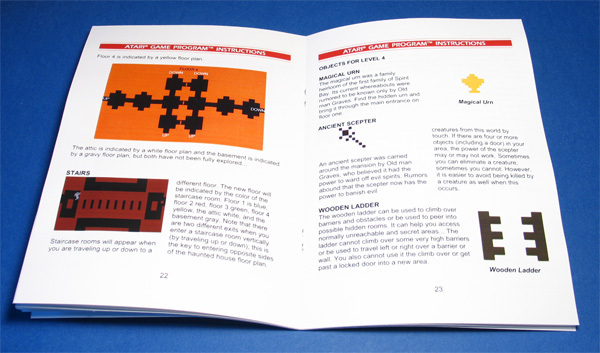 Accompanying the game is a 52-page manual, the largest by far that we've ever included with a homebrew or hack! 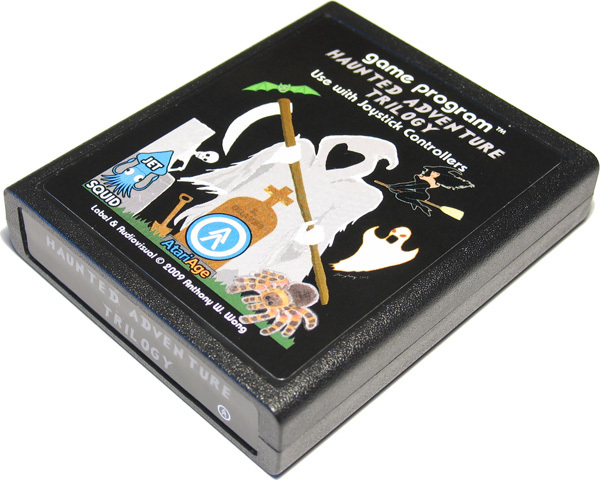 This game has been greatly enhanced from the original Haunted Adventure and many new features, graphics, sounds, and different areas have been added to make a spooky journey back to the realm of Spirit Bay. End the curse of Spirit Bay by finding the still-beating soul of old man Graves and returning it to the crypt under the cemetery. 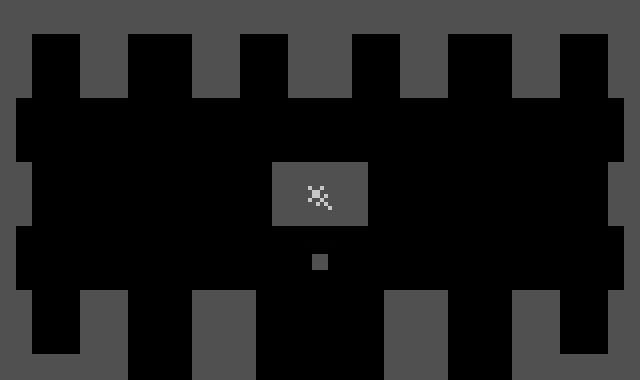 Use various keys and tools to explore the house. Avoid and try to banish the three ghosts and other creatures trying to scare you to death. Nukey Shay and I have worked to make this mod to create a completely different experience with new and exciting twists and turns for any daring adventurer. Many special effects and secrets have been added for this new edition of Haunted Adventure II that have not been seen before. 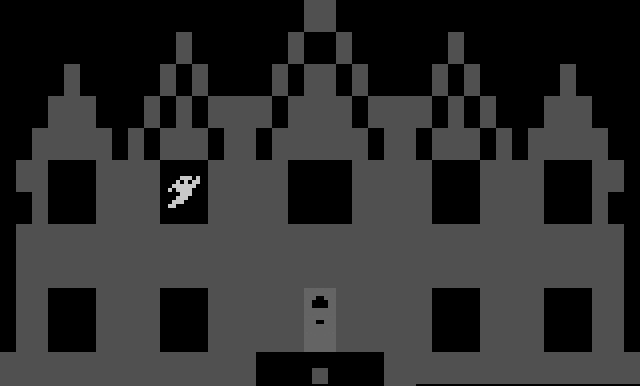 Explore the multi-story mansion of Old man Graves, battling ghastly creatures with an ancient sceptre to find a magical urn and escape with your life. After accomplishing this, help Old man Graves to his redemption and save his spirit from a greater evil... 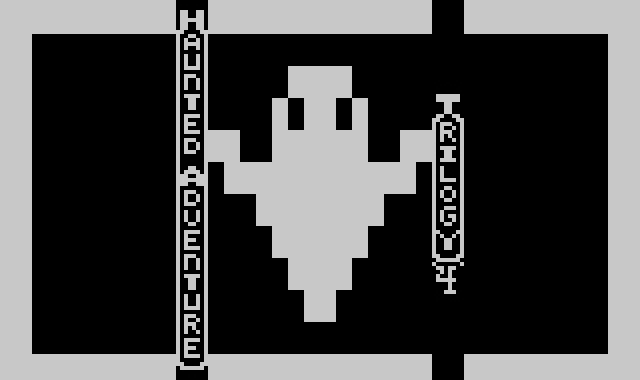 The sequel to Haunted Adventure - Boo! 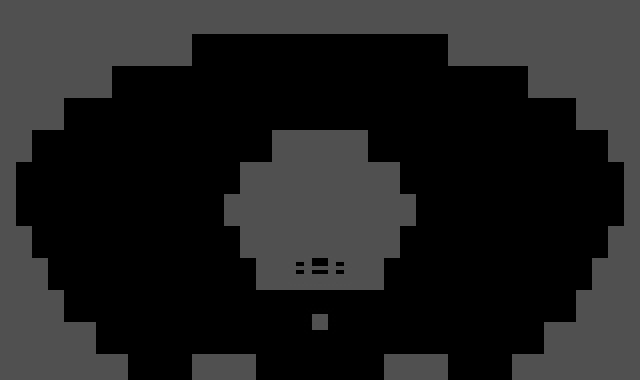 has 3 separate stories and different objectives for each game. 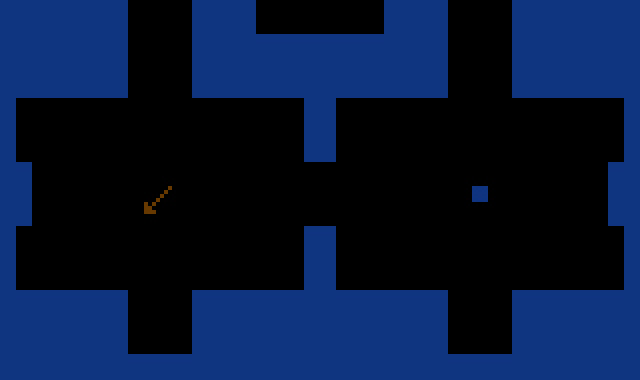 Areas to explore extend to inside, around, and under the mansion. 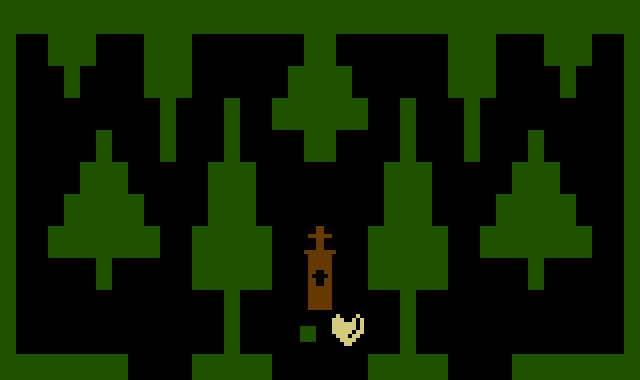 There are objects to be discovered to help you complete your journey, but six deadly creatures will try to hinder you. Help Jono Care recover the magical urn and return her haunted friends to their proper resting place before day breaks. Avoid new evil entities released by Charon in a plot to have dominion over our world. 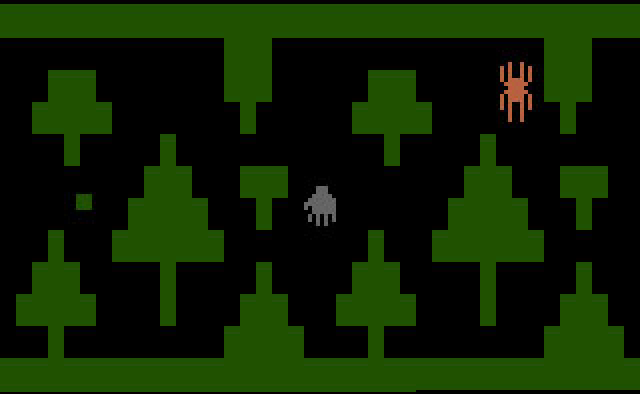 New scenes, creatures, and entrances have been added to the third chapter in the Haunted Adventure series. 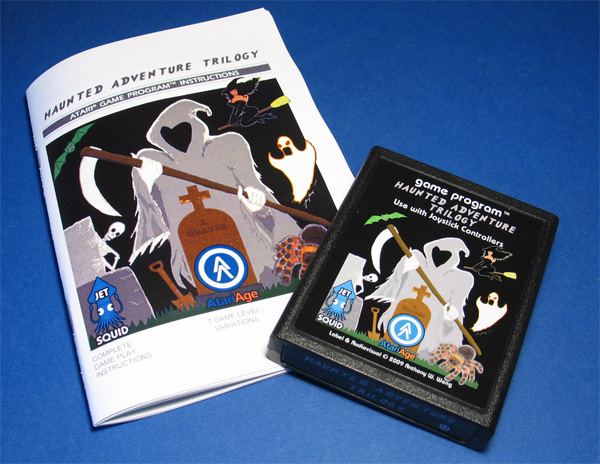 Haunted Adventure Trilogy includes 32K cartridge and 52-page, full-color manual. Probably the only one looking for the ultimate easter egg in game3. Best adventure hacks to date. This is a huge and fun game. 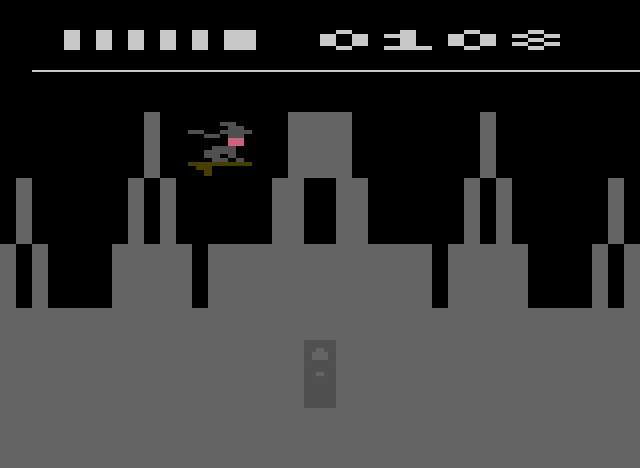 I can't ask more from an adventure based quest for my Atari. You have variety and plenty to explore. Difficulty is high but I find it rewarding and fair. Manual is top notch too. This is one hack that is criminally under-appreciated. 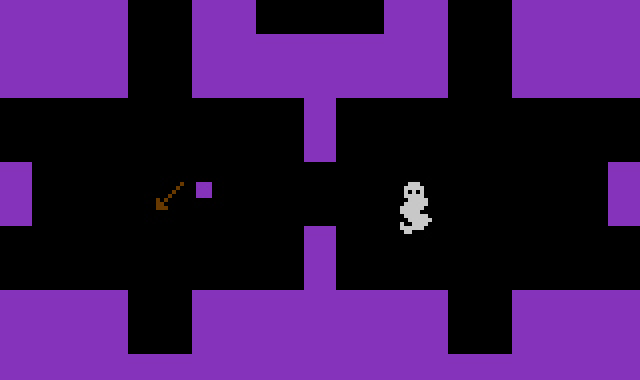 It uses Nukey Shay's 8k Adventure hack and puts the characters from haunted house into two, HUGE games. 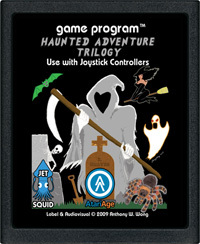 Haunted Adventure II took me a good DAY to play through on the hardest setting. 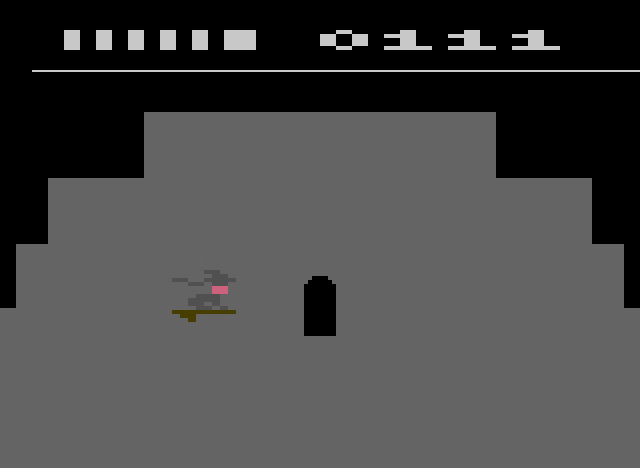 There are more secrets, nooks and crannies to explore in this game than you would believe could be crammed into one Atari cart. I haven't touched the original Adventure since I got this cart. It's better in every way, and much more fun than most of the later Adventure hacks to boot. If you like Adventure, this is two of the best conversions (they are much more than hacks) ever made, plus a nice little Superman hack to round it off, though the third game is nowhere near as good as the first two. Great cart, and two very deep games to boot. I can't believe I'm the first to review this game. This suggests to me that it's been unfairly overlooked, or that there aren't as many Adventure fans out there as I'd thought. This here is a complete value pack that you simply can't go wrong with. It's two complete Adventure hacks (so well done they seem more like brand new games), plus one Superman hack on one cartridge, which places its value much higher than its current price. If you consider yourself an Adventure fan (and/or a Superman fan), you simply can't do without it. 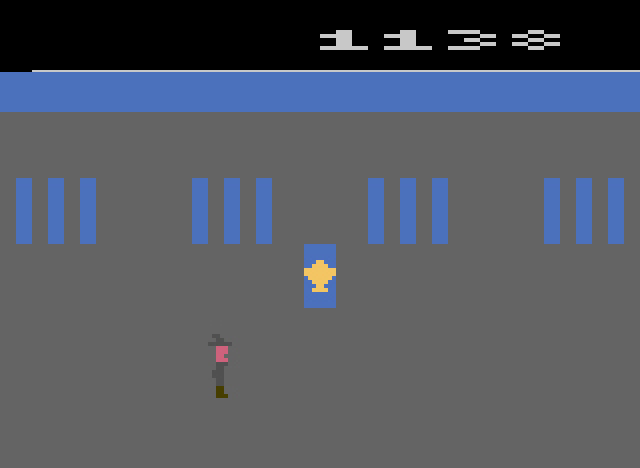 It's one of the rarities in that you can sit and play it for longer than most Atari titles, and also find yourself coming back for more. And if that wasn't enough, there's an easter egg contest thrown in to boot! That oughta keep you busy for a while. So do yourself a favour and buy it. I guarantee that the only problem you'll have with this game is coming up with new and inventive excuses for not showing up at work every day.